Can we talk about some of my new favorite sheroes?! As you may have seen from the coverage on my Instagram stories and Highlights –yesterday was LIT! Lit, as in my soul lit up. It was one of those experiences! I got to spend the majority of the day with the most lovely women of Habitat for Humanity, Habitat LA, and Lowe’s, in honor of National Women Build Week. 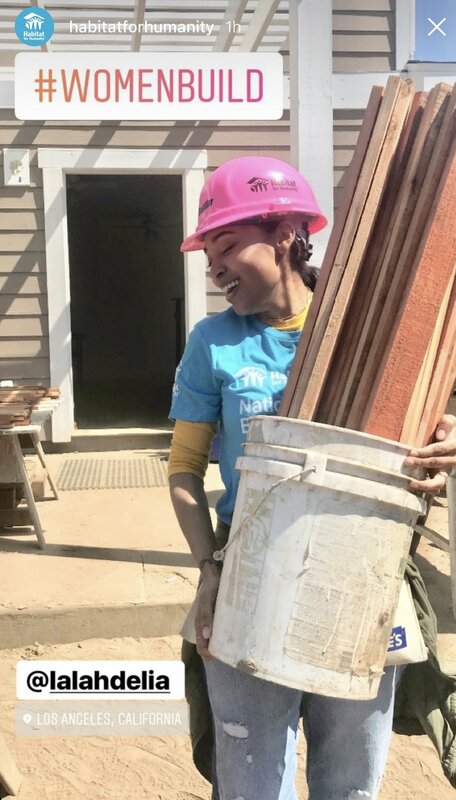 National Women Build Week is Habitat for Humanity and Lowe’s initiative that unites and empowers more than 18,000 women nationwide to join forces and devote at least one day to help build decent and affordable housing in their local communities. The campaign is happening all around the country, all week long, May 5-13. One of the key flagship events was hosted in Los Angeles, where I participated. There were power tools galore, pink hard hats, the sound of amazing music and women's joy filling the atmosphere. The love, support, and sisterhood was real and deeply felt. Women have a way of making our work feel like a gathering of women warriors. Throughout ancient times up to modern times, no matter what it is that women gather in community for, we have a way of letting it be known, "We're here, and we've got this'. It was such an empowering and divine experience to be a social ambassador for. Looking around and seeing an all woman construction crew was breathtaking site to behold. Yes!!! I've never gotten dirtier in my life. We were dirty. Ha! The kind of dirty where if if stomp your shoes on the ground or pat your your clothing a dirt cloud is formed. lol. Underneath our nails, our hair, head to toe, full of dirt. At the end of the day, I said to The Habitat For Humanity ladies, Hillary and Lisa Marie, "I feel like that character on Charlie Brown who has the dirt cloud on him." As we all laughed I mentioned that "I forgot his name, it's..."
"It'sPig Pin!" said Lisa Marie. "Awe yes, Pig Pen", we all laughed. So here's a sweet image of Pig Pen that represents how we pretty much looked at the end this amazing and rewarding day. Ha! So I built a picket fence! The warm California sun was shining and the winds were blowing strong on and off throughout the beautiful day. Being this was a construction site with no grass or lawn yet, dirt was flying everywhere. As we built the fence out, we dug into the earth, shoveling and pick-axing even more dirt into the air to make way for the pickets to go securely into the ground. I now feel empowered to let go of fear and doubt, get dirty, do the work, and build. As part of National Women Build Week, Lowe’s and Habitat for Humanity are holding space for meaningful discussion and bringing awareness to help educate, inspire and empower women nationwide to advocate for decent housing. The initiative is also about empowering women and girls with the skills in home construction and community building. The hashtags #BuildHer and #WomenBuild represent this so well. For the 11th annual year, Habitat for Humanity and Lowe’s partnered for National Women Build Week and this year, Lowe’s donated $2 million to support in 300 communities nationwide. Habitat helps empower, stabilize families, and build self-reliance by lending what they call "a helping hand up, not a hand out", to homeowners. The homeowners all donate a certain amount their time through what is called "sweat equity", which includes partnering up and pitching in with Habitat in the building of their own home, and volunteering in the building of the homes of other's. And homeowners all pay an affordable mortgage. That's true community building and empowerment. According to a @Habitat_org and @Lowes survey, most women think home maintenance skills are important, but half of the women surveyed don’t know the basics? This is where Habitat for Humanity and Lowe's comes to the rescue. 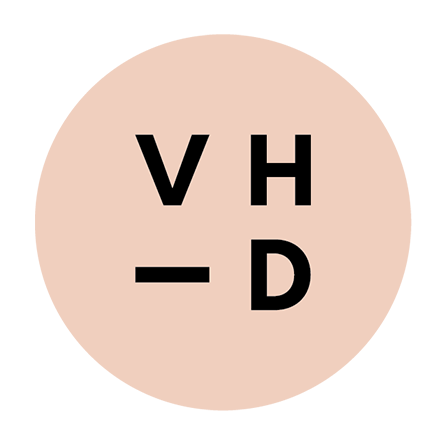 #BuildHer is a social movement used to generate conversation about building one another up; all while raising awareness and empowering women and girls with construction skills and affordable housing. Habitat and Lowe’s encourages anyone to volunteer—no construction skills or experience necessary. Check your local Habitat to find out about local build clinics and community happenings and opportunities to support this initiative. It was an honor to partner with @HabitatLA, @Habitat_org and @Lowes, #WomenBuild Week, #WomenBuild #BuildHer for National Women Build Week. Visit www.habitat.org/wb to learn more and to get involved throughout the year.